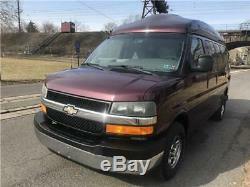 2004 Chevrolet HIGHTOP CONVER Express AWD with HANDICAP LIFT. 8 Cylinder Engine 5.3L/325. Actual mileage will vary with options, driving conditions and driving habits. 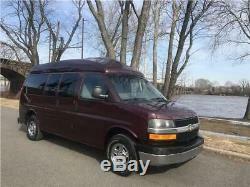 This is a great previously owned 2004 CHEVROLET EXPRESS ALL WHEEL DRIVE HIGHTOP CONVERSION VAN WITH HANDICAP LIFT AND TWO SIDE DOORS! AUTOMATIC PASSENGER'S SIDE DOORS! Power and swivel DRIVER'S SEAT! The engine on this vehicle is running properly. The mileage represented on this vehicle is accurate. This vehicle has a smooth shifting transmission. All power equipment is functioning properly. Overall, this vehicle's exterior is clean. The interior is clean and in good condition. There is approximately 85% of the tire tread remaining. Thank you for your interest and I look forward to hearing from you. Bumpers, front, and rear, painted Black, includes step-pad. 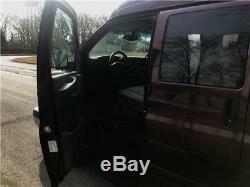 Glass, rear side door and rear door window, swing-out. Glass, Solar-Ray light tinted, all windows. 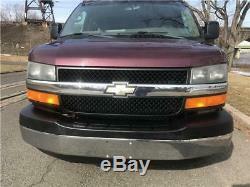 Grille, Black composite, with single rectangular halogen headlamps. 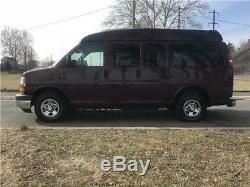 Mirrors, outside rearview, manual folding, Black If the van is an extended model (G7), or if the van has no rear windows, then the van will get a flat right side mirror. 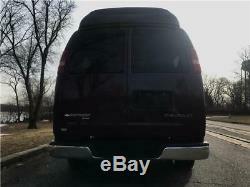 All other vans will have a convex right side mirror. Wipers, intermittent, front wet-arm with pulse washers. Console, Base, includes open storage bin. Cupholders, 3, on engine console cover. Floor covering, Black rubberized vinyl full length floor covering. Instrumentation, analog, includes speedometer, odometer with trip odometer, fuel level, voltmeter, engine temperature and oil pressure. Lighting, 2 dome lamps, includes defeat switch and door handle-activated switches. Mirror, inside rearview, manual day/night. 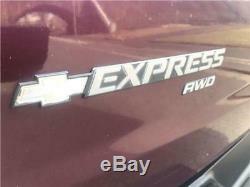 Power outlet, auxiliary, 2 covered, on engine console cover, 12-volt. Steering wheel, steel sleeve column, includes theft-deterent locking feature, Black. Visors, padded, driver and passenger side with vinyl trim. Exhaust, aluminized stainless-steel muffler and tailpipe. (3266 kg) Requires C13406 Models. Rear axle, 3.42 ratio Please reference Engine/Axle page to verify availability. Suspension, front, independent torsion bar (computer selected) and stabilizer bar Requires all-wheel drive Models. Suspension, rear, hypoid drive axle with multi-leaf springs. Air bags, frontal, driver and right front passenger Includes passenger. 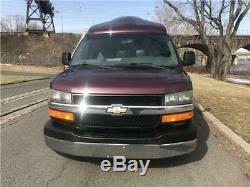 Side air bag deactivation switch for models with (C6P) GVWR, 8600 lbs. Always use safety belts and proper child restraints, even with air bags. Children are safer when properly secured in a rear seat. See the Owners Manual for more safety information. Child seat anchor, located on all rear 3-passenger bench seating positions. Notary services, messenger, and title transfer. 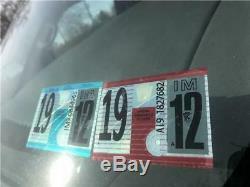 It is a fixed amount for any car-purchaser, and dealers are included. Although every effort is made to present accurate and reliable information, use of this information is voluntary, and should only be deemed reliable after an independent review of its accuracy, completeness, and timeliness. It is the sole responsibility of the customer to verify the existence of options, accessories and the vehicle condition before time of sale. Any and all differences must be addressed prior to time of sale. No expressed or implied warranties, including the availability or condition of the equipment listed is made. EPA mileage estimates for comparison purposes only. Actual mileage may vary depending on driving conditions, driving habits, and vehicle maintenance. 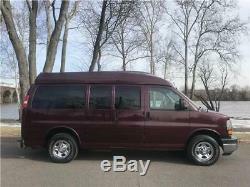 The item "2004 Chevrolet Express AWD HIGHTOP CONVERSION" is in sale since Saturday, February 2, 2019. 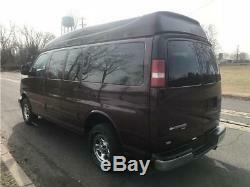 This item is in the category "eBay Motors\Cars & Trucks\Chevrolet\Express". 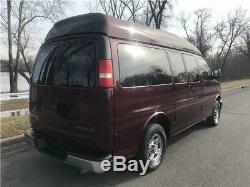 The seller is "philly-autosales" and is located in Morrisville, Pennsylvania.